My work continues to focus on musicians along the Blues Highway and at home. 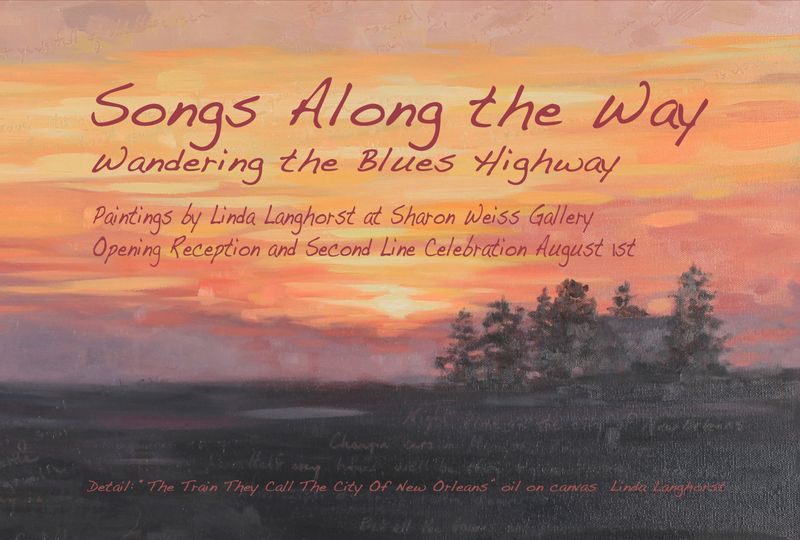 This upcoming exhibit "Songs Along The Way: Wandering The Blues Highway" includes paintings of musicians in New Orleans, Memphis, Nashville, Kansas City, Chicago and here in Columbus. It also has a few scenes from the train called "City of New Orleans". I love to paint musicians doing their thing and I love to visit towns and cities along the Blues Highway. The Opening Reception on August 1st, 2014 runs from 6-8 pm at Sharon Weiss Gallery, 20 East Lincoln Street in the Short North, Columbus, Ohio. It concludes with New Basics Brass Band leading a Second Line Parade to Little Rock Bar (corner of 2nd Ave and North 4th Street). Second Lines are a New Orleans tradition. The "first line" of the parade is the band itself. The rest of us can just join in and celebrate as the "second line". 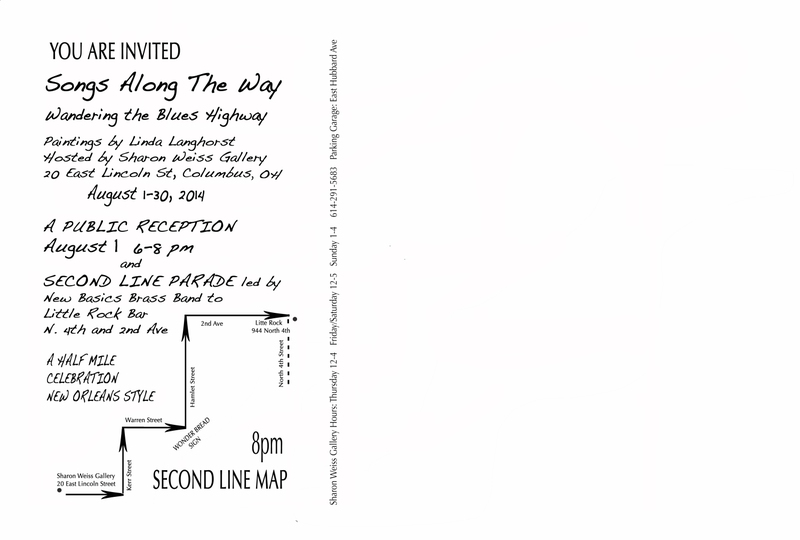 Everyone is welcome to visit the opening and sing and dance our way from the gallery to Little Rock Bar. Bring your feather boas, hats, parasols, and fancy hankies to wave or just walk and enjoy.